In this modern age, it is very difficult for people to practice austerities or Tapascharya. Over time man has degenerated physically and mentally. It is not easy for him to practice the demanding Yogas required by the spirituality of Sanathana Dharma. Modern man has no time for God. Knowing this, Sat Gurudev Sri Swami Sivanandaji Maharaj encouraged the practice of Sankirtan Yoga and the singing of Bhajans glorifying the many manifestations of the one omnipresent Divine Reality. Sankirtan Yoga is the chanting of the Divine Name pouring forth from the hearts and minds of the lovers of God. ‘Kirtan’ comes from the root word Kirt, meaning to call, to repeat, to praise, to glorify. ‘Bhajan’ means devotional prayer or hymns set to music as well as worship or adoration of the Lord. The word ‘Bhajan’ comes from the root word Bhaj, meaning to worship, to serve, to honour. Kirtans and Bhajans can be practised both individually and collectively. All modern Saints have encouraged this Yoga. During his travels all over India, Sat Gurudev Sri Swami Sivanandaji Maharaj conducted many Sankirtan Sammelons, which is the singing of Bhajans and Kirtans among large groups of devotees. Our ancients knew that the easiest way to progress on the spiritual path is to repeat the Divine Name. Constant repetition of the Divine Name brings about purification of the mind; and when heart and mind are purified, peace arises. The original prototype of this book, entitled Inspiring Songs and Kirtans, was written by Sat Gurudev Sri Swami Sivanandaji Maharaj in 1943. 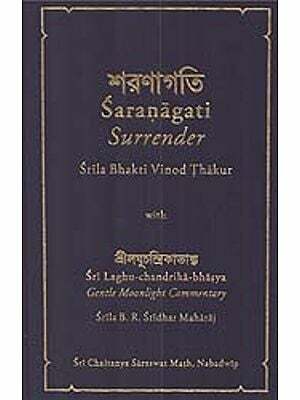 It contained a collection of inspiring and instructive songs written by Gurudev himself. Revered Sri Swami Chidanandaji Maharaj later made some additions and also greatly propagated the chanting and repetition of the Name of God wherever he went. Over the years certain Bhajans, often repeated by Revered Sri Swami Chidanandaji Maharaj, became dearly loved. The present book is a compilation of those songs, the traditional and favourite Bhajans and Kirtans that have been sung at Sivananda Ashram in Rishikesh since Gurudev’s time. I want to specially thank Sri Swami Divyabhavananda Mataji and Sri Suchita Lusardi Mataji for having given so much of their time and combined effort to bring about this new book of Devotional Songs and also the many residents of the Ashram and devotees, near and far, who provided invaluable assistance translating the songs into English and giving other helpful service and advice, especially His Holiness Sri Swami Hamsanandaji Maharaj, Sri Swami Devabhaktanandaji, Sri Swami Akhilanandaji, Sri Swami Shivashritananda Mataji, Sri Choudhury Gourahari Mishra, Cristina Capello, Shanta Subba Rao Mataji, Neelmani Khaturia, Liliana Vinaya Mataji and Alan Neachell. Our special thanks goes to Dr. T. V. Vasudeva Dharmadhikari, Deputy Director of the Kuppuswami Shastri Research Institute, Chennal, for his guidance in all matters concerning the transliteration and translation of the Sanskrit Devanagari script. May the benedictions of Sat Gurudev ever be upon them all and upon all those who aspire to glorify God through the chanting of the Divine Name. The depth of Bhava (devotion), abundance of faith, sincerity of purpose, and loving contemplation on the Lord may lead to the outpouring of our devotion in a musical form. It is a very powerful form of prayer in the Bhakti Yoga tradition. Depending on the depth of devotion and love felt by the devotee when immersed in sacred chanting, enriching spiritual experiences can occur. The Omnipresent, Omnipotent, Omniscient Lord, Who is One without a second, Who is all-pervading, present within and without in every nook and corner of the entire cosmos, out of compassion for his most deserving devotees has on several occasions revealed Himself, assuming the form most loved by them. 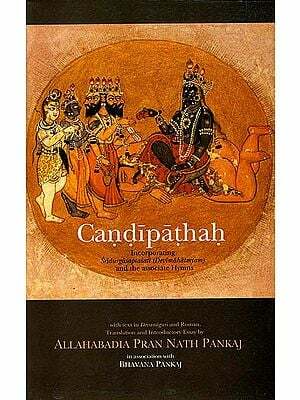 The sincere devotees of the Lord who have taken great pains to compile this book along with editing have done a great service to most worshipful Sri Gurudev. May the choicest blessings of Sri Gurudev be showered upon them! May the singing of these Bhajans and Kirtans serve to unite the entire Sivananda Parivar (family) throughout the world. GURUDEV SWAMI SIVANANDAJI MAHARAJ was the Founder and President of the Divine Life Society from the year of its establishment in 1936 until his Mahasamadhi in 1963. He never left his beloved India, except when serving as a doctor in Malaysia as a young man. Yet, today his name is loved and respected in every country in the world. He was a beacon of light, a spiritually illumined soul who was born to give the message of spiritual life to thousands all over the globe. Even now, after almost five decades of his merging in the Supreme, seekers continue to heed his call and endeavour to follow his teachings. In his unique desire to make others happy, Revered Gurudev decided to share his divine treasure of wisdom with anyone eager to listen. He did it out of compassion for all humanity, not only of his time, but of the times to come. What a great soul! He was thinking of us even before our birth! Our beloved Gurudev was generous beyond measure. The only way to show our gratitude is to sincerely make his teachings our own and allow them to take us to the Supreme Abode. That would surely fill his cup of joy to overflowing! May his blessings ever be upon us! His Holiness Shri Swami Chidanandaji Maharaj served as the esteemed President of The DMne Life Society from 1963 until his Mahasamadhi in August 2008. His entire life was totally consecrated to continuing Gurudev Shri Swami Sivanandaji’s spiritual mission. This kept him engaged day and night in teaching, training, guiding, encouraging, consoling, helping, and transforming the lives of innumerable individuals around the world, from all walks of life, and bringing about a spiritual awakening in the hearts of thousands. In his radiant presence, one heard the timeless call to liberation. Swamiji embodied the eternal truths of the ancient Rishis of Vedic times blended perfectly with the teachings of Lord Buddha and Jesus Christ. In the West he was known as Saint Francis of India, because his humility and tender-hearted love extended not only to all persons great and small, but to all animals, birds, insects and plants. He championed caring for the environment, because he revered the Earth, indeed the whole Cosmos, as Divinity in manifest form. Swamiji never tired of reminding us that this human birth is a precious gift, not to be wasted, but to be used to draw nearer to God with every breath, every thought, every word, every action. REVERED SHRI SWAMI KRISHNANANDAJI MAHARAJ was the General Secretary of the Divine Life Society for nearly forty years. He was one among the brilliant disciples of the Master. Gurudev Shri Swami Sivanandaji Maharaj used to call him our ‘Dakshinamurti’ and ‘Shankaracharya Swami Krishnanandaji was a Sage of towering wisdom and insight. He was a Master of practically every system of Indian and Western philosophy. He was an adept in Raja Yoga (the yoga of meditation) and an illustrious exponent of Vedanta (the ancient wisdom teachings of the Upanishads). In him, work and wisdom enjoyed a harmonious blend. His total, dynamic involvement in daily activities as General Secretary of the Society and as revered Guru to many seeking souls was truly inspiring! 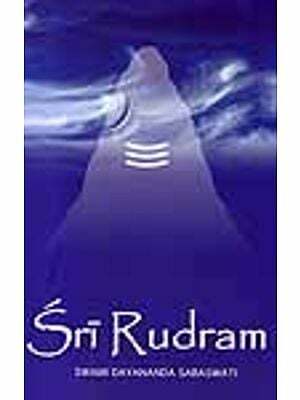 His books constitute the invaluable legacy he left behind to the entire spiritual world. To read his books, the majority of which are the outcome of his extemporaneous discourses, is to set oneself in tune with the Ultimate Reality. Blessed indeed are those who sing God’s name, for they will be freed from the wheel of birth and death and will attain immortality.